Turn on the television or scroll through Facebook, and chances are you’ll see at least one advertisement for a group or “guru” who promises to teach you how to “get rich quick” through real estate investing. The truth is, much of what they’re selling are high-risk tactics that aren’t a good fit for the average investor. However, there is a way to make steady, predictable, low-risk income through real estate investing. In this blog post, we’ll examine the tried-and-true tactics that can be used to increase your income, pay off debt … even fund your retirement! Appreciation is the increase in your property’s value over time. History has proven that over an extended period of time, the value of real estate continues to rise. That doesn’t mean recessions won’t occur. The real estate market is cyclical, and market ups and downs are natural. In fact, the U.S. housing market took a sharp downturn in 2008, and many properties took several years to recover their value. However, in the vast majority of markets, the value of real estate does grow over the long term. While no investment is without risk, real estate has proven again and again to be a solid choice to invest your money over the long term. Inflation is the rate at which the general cost of goods and services rises. As inflation rises, prices go up. This means the money you have in your bank account is essentially worth less because your purchasing power has decreased. Luckily, real estate prices also rise when inflation increases. That means any money you have invested in real estate will rise with (or often exceed) the rate of inflation. Therefore, real estate is a smart place to put your money to guard against inflation. One of the big benefits of investing in real estate over the stock market is its ability to provide a fairly steady and predictable monthly cash flow. That is, if you choose to rent out your investment property to a tenant, you can expect to receive a rent payment each month. If you’ve invested wisely, the rent payment should cover the debt obligation you may have on the property (i.e. mortgage), as well as any repairs and maintenance that are needed. Ideally, the monthly rental income would be great enough to leave you a little extra cash each month, as well. You could use that extra money to pay off the mortgage faster, cover your own household expenses, or save for another investment property. Even if you only take in enough rent to cover your expenses, a rental property purchase will pay for itself over time. As you pay down the mortgage every month with your rental income, your equity will continue to increase, until you own the property free and clear … leaving you with residual cash flow for years to come. As the owner, you will also benefit from the property’s appreciation when it comes time to sell. This can be a great way to save for retirement or even fund a child’s college education. Purchase a property when the child is young, and with a little discipline, it can be paid off by the time they are ready to go to college. You can sell it for a lump sum, or use the monthly income to pay their tuition and expenses. One of the unique features that sets real estate apart from other asset classes is the ability to leverage your investment. Leverage is the use of borrowed capital to increase the potential return of an investment. For example, if you purchase an investment property for $100,000, you might put 10% down ($10,000) and borrow the remaining $90,000 in the form of a mortgage. Even though you’ve only invested $10,000 at this point, you have the ability to earn a profit on the entire $100,000 investment. So, if the property appreciates to $120,000 – a 20% increase over the purchase price – you still only have to pay the bank back the original $90,000 (plus interest) … and you get to keep the $20,000 profit. That means you made $20,000 off of a $10,000 investment, essentially doubling your money, even though the market only went up by 20%! That’s the power of leverage. When you record your income from a rental property on your annual tax return, you get to deduct any expenses associated with the investment. This includes interest paid on the mortgage, maintenance, repairs and improvements, but it also includes something called depreciation.Depreciation is the theoretical loss your property suffers each year due to aging. While it’s true that as a home ages it will structurally need repairs and systems will eventually need to be replaced, we’ve also learned in this post that the value of real estate appreciates over time. So getting to claim a “loss” on your investment that is actually gaining in value makes real estate an appealing investment choice. Even if you’re not interested in owning a rental property, other types of real estate investments offer tax advantages, as well. Generally, when you own an investment property you pay a capital gains tax on any profits you make when you sell the property. However, when you sell your principal residence, you are exempt from paying taxes on capital gains (up to $250,000 for singles and $500,000 for couples). The Internal Revenue Service (IRS) only requires that you live in the house for two of the previous five years. That means you can purchase an investment property, live in it while you remodel it, and then sell it for a tax-free profit two years later. This can be a great way to get started in real estate investing. In addition to profiting off of your personal residence tax free, it is possible to sell an investment property tax free if you do it through a 1031 Exchange. If structured properly, the IRS Tax Code enables an investor to sell a property and reinvest the proceeds in a new property while deferring all capital gains taxes. It’s a common misconception that you can only purchase financial instruments (i.e. stocks, bonds, mutual funds, etc.) through an Individual Retirement Account (IRA) or 401(k). In actuality, the IRS allows individuals to invest retirement funds in real estate and other alternative types of investments, as well. By purchasing your investment property through an IRA, you can take advantage of all of the tax savings these accounts offer. Be sure to consult a tax professional regarding all tax matters related to your real estate investments. If structured correctly, the profits you earn on your real estate investments can be largely shielded from tax liability. Just another reason to choose real estate as your preferred investment vehicle. 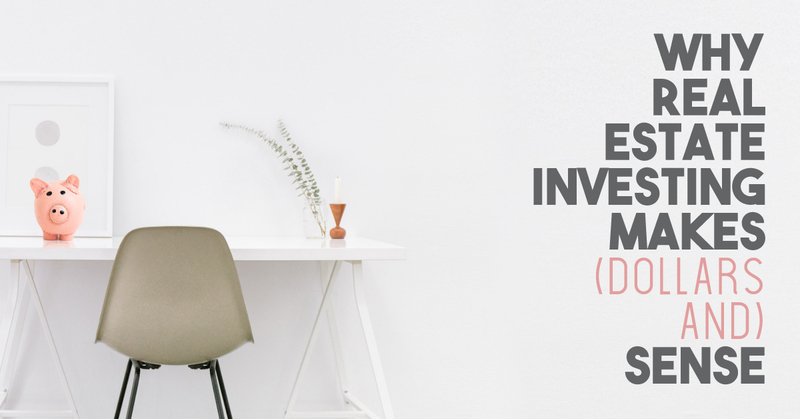 While there are numerous ways to invest in real estate, we’re going to focus on three primary ways average investors earn money through real estate. We touched on several of these already in the previous section. HGTV has countless “reality” shows featuring property flippers who make this investment strategy look easy. Commonly referred to as a “Fix and Flip,” investors purchase a property with the intention of remodeling it in a short period of time, with the hope of selling it quickly for a profit. This is a higher-risk tactic, and one for which many of the real estate “gurus” we talked about earlier claim to have the magic formula. They promise huge profits in a short amount of time. But investors need to understand the risks involved, and be prepared financially to cover additional expenses that may arise. Luckily, an experienced real estate agent can help you identify properties that may be good candidates for this type of investment strategy… and help you avoid some of the pitfalls that could derail your plans. One of the more conservative choices for investing in real estate is to purchase a rental property. The appeal of a rental property is that you can generate cash flow to cover the expenses, while taking advantage of the property’s long-term appreciation in value, and the tax benefits of investing in real estate. It’s a win-win, and a great way for first-time investors to get started. With the huge movement toward a “sharing economy,” platforms that facilitate short-term rentals, like Airbnb and HomeAway, are booming. Their popularity has spurred a growing trend toward dual-purpose vacation homes, which owners use themselves part of the year, and rent out the remainder of the time. There are also a growing number of investors purchasing single-family homes for the sole purpose of leasing them on these sites. Short-term rentals offer several benefits over traditional rentals, which many investors find attractive, including flexibility and higher profit margins. However, the most profitable properties are strategically located near popular tourist destinations. You’ll need an experienced real estate professional to help you identify the right property if you want to be successful in this highly-competitive market. DOES REAL ESTATE INVESTING SOUND TOO GOOD TO BE TRUE? We’ve all heard stories, or maybe even know someone, who struck it rich with a well-timed real estate purchase. However, just like any investment strategy, a high potential for earnings often goes hand-in-hand with an increase in risk. Still, there’s substantial evidence that a well-executed real estate investment can be one of the best choices for your money. Purchasing a home to remodel and resell can be highly profitable, as long as you have a trusted team in place to complete the remodel quickly and within budget … and the financial means to carry the property for a few extra months if delays occur. Or, if you buy a house for appreciation and cash flow, you can ride through the market ups and downs without stress because you know your property value is bound to increase over time, and your expenses are covered by your rental income. In either scenario, make sure you’re working with a real estate agent who has knowledge of the investment market and can guide you through the process. While no investment is without risk, a conservative and well-planned investment in real estate can supplement your income and set you up for future financial security. If you are considering an investment in real estate, please contact us to set up a free consultation. We have experience working with all types of investors and can help you determine the best strategy to meet your investment goals. Rene is a dream facilitator. She helps old and new friends achieve their dreams of buying and selling real estate. A resident of over 25 years, she has lived and worked in many areas in Austin and Central Texas. Her business is based upon more than 75% referrals. Most important to Rene is providing the most excellent service to buyers and sellers in order to earn their trust, referrals and repeat business. Rene has sold homes in all price ranges from starter homes and luxurious estate properties to condominium, ranch and investments properties. 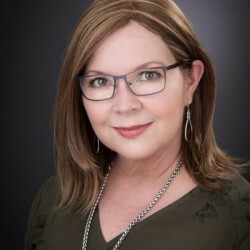 She has achieved the designations of Certified Luxury Home Marketing Specialist as well as the Texas Affordable Housing Specialist. Clients appreciate her flexibility, knowledge, patience, listening skills, adaptability, negotiating and analytic skills, and her ability to accurately price and market a home.